We’ve all heard about Sutton’s FA Cup exploits against Leeds in the early 70s, against Middlesborough in ‘87 and, a year later, knocking out recent FA Cup winners Coventry City. As well as these well-known, club-specific tales, non league teams have often played, and occasionally beaten, top flight sides but how many of those teams have had success in Europe? Not many, is the answer. There’s been a dearth of European non-league competitions for the very practical reasons of cost and, well, to put it bluntly, lack of public interest. There have been a few, though, and most of them involve England and Italy. The first one of note was the Thomas Lipton Trophy, held in Turin, where West Auckland became the first ‘World Cup Winners’. Between then and the 1960s there were one offs and occasional mini-tournaments until the Coppa Ottorino Barassi, held between 1968-76 for semi-pro sides. 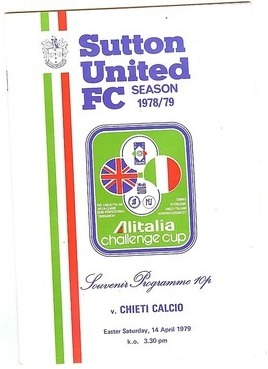 There was also the separate Anglo-Italian Semi-Pro Cup that ran for just two years 1975-6 but the one we’ve probably all heard of is the actual Anglo Italian Cup, which existed primarily, and latterly, for professional teams. But, for ten years in the middle, 1976-1986, the same trophy was competed for by amateur sides. In truth, in both guises, it should have been called the Anglo Beaten By Italians Cup, the only English victories in the professional version were by Blackpool, Swindon, Newcastle and Notts County. In the amateur version it was worse, Italian teams dominated and there was only ever one English winner, indeed in the last four tournaments held the final was contested by two Italian sides. For the first three years it wasn’t much different, Monza, Lecco and Udinese despatched Wimbledon and Bath City (twice) so when Sutton United, Barnet, Matlock Town and Nuneaton Borough took to the group stage in 1979, it was more in hope than anything. The group stages were odd, a bit Europa League to be honest. All four English teams went over to Italy to play two games against two of the four Italian teams. Then it was back to the green and pleasant land for each club to play at home the two other Italian teams they hadn’t played. Then, whichever English teams had the most points played the similarly bestest Italian team in the final, at that Italian team’s home ground. In 1979, the four Italian sides were Juniorcasale, Cremonese, Pisa and Chieti. Two Sutton fans went to Juniorcasale and Cremonese to see a 1-1 draw and 1-0 win respectively. Sutton fan and unofficial historian Mark Frake wasn’t, sadly, one of them. He was but 16, still at school playing the leading role of Al Capone in the school’s annual theatrical production – and the dress rehearsal meant he couldn’t travel to Italy. But, thanks to the other three English teams losing all their games in Italy, Mark only needed Sutton to win one of the two home games toguarantee himself a trip to Italy for the final. 1700 Sutton fans turned up at Gander Green Lane to see them dispatch Pisa 1-0 to more or less nail the final place. 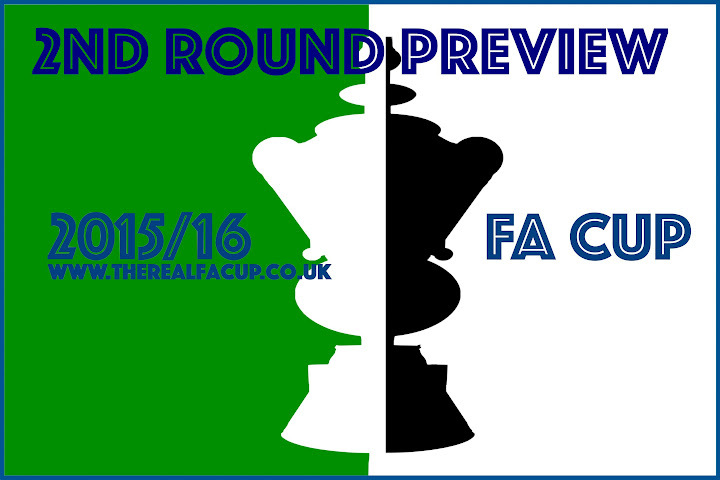 Sutton lost the last group game 1-0 to Chieti but they were there – and their opponents in the final were … Chieti. Mark believes that was actually a stroke of [planned? – Ed] luck because, had they drawn or beaten Chieti, Pisa would have won the Italian half of the league and “were better and I don’t think we would have beaten them in the final”. The final was set for 25th April. Mark and six friends had 11 days to sort out their trip to Abruzzo. Easy now, a 3hr flight to Bari or Pescara on Ryan’s Easy Air but back then … “It was the first time I’d gone anywhere on my own, without my parents”. “I had to take time off work to get a one year passport, the Post Office wasn’t open on Saturdays for passport applications back then”. With air travel restrictively priced even in 1979 Mark left the travel arrangements to Nigel and troubled himself with actually being allowed in the country. The seven’s arduous travel plan “started on Monday 23rd April with a train trip to Folkestone”. From there it was “a ferry to Ostend” and a train on to Brussels. Then came the Sound Of Music section, “a train from Brussels to Milan through the Alps in April, there was still snow”. The springtime Alpine journey took the edge off the next arduous leg “from Milan to Rome, eight hours of standing on a packed train because it was Liberation Day” – La Festa della Liberazione, the 34th anniversary of liberation from Mussolini’s Social Republic. When the Englanders got to Rome they only had “fifteen minutes to get a ticket to Chieti and find the train” but make it they did. Mark believes the main reason the team had got this far was a tactical masterstroke by the managerial team of (future Malmo manager) Keith Blunt and Barrie Williams. Having paid attention to the Italian style of the time, the regular right back was moved into a defensive midfield holding/sweeper role and it worked. But, even so, when the English turned up in Chieti, the obvious conclusion of the locals was that Sutton United would be soundly beaten and sent back to blighty with their tails between their legs. When the seven got to the ground, they couldn’t believe it, the backdrop of this particular non-league game was not to be the East End, Walthamstow Avenue or even the relatively gentle air of Champion Hill, but the lush green foothills of the Montagne del Morrone. And the joy of the heady surroundings was embellished by the officials. “It was as if they’d got the ref from the English non league, we got everything”. “They should have had a penalty inside two minutes, Dave Collyer brought one of their forwards down in the box”. It wasn’t given. Bobby Southam and John Rains netted in the first half and the boys (and one girl) were going nuts in front of several hundred perplexed Italians. “In the first half it was all Sutton, In the second half it was all Chieti and the ref started giving them everything” [Game of two halves, nice – Ed]. But despite the pressure and a goal pulled back, Mark said he “never felt nervous until the last ten minutes”. Sutton held out, decked proudly not in their own kit but that of the England team, a gift from the FA. The Alitalia sponsored Gigi Peronace trophy was liberated from Italian hands for the first time in the amateur era and smuggled [cough] back over the Alps. “From nowhere there was this massive excitement” said Mark, “it’s the best moment I’ve had as a Sutton supporter, even better than Coventry”. The seven fans celebrated with the team, they knew some of them, they drank in the same bars of course. “Welly Waite [one of Mark’s mates] had a bottle of scotch and tipped it in the cup. [captain] John Rains thought it was champagne so started gulping it, haha, his face was a picture”. “The Anglo Italian cup [win] gave a completely different atmosphere to the club” says Mark, “with that ’79 side people started talking about Sutton again”. “We should have won the Isthmian league before then but we finally won it in the mid 80s and the following year went up”. The club didn’t take the promotion with the first win, ground requirements at the next level would have meant a large expenditure so they held fire. “The fans were gutted” but with hindsight “slowly building was the right thing to do”. The club was promoted the following season. Since then it’s been the usual football cycle of ups and downs for Sutton, currently on an upward trend with promotion last year and a superb start to the current season and Cup. Chieti had a taste too, as well as being an amateur side they spent a lot of time in Italy’s third tier before imploding. They went bust in 2006 and were reborn as ASD Chieti and have gained promotion back up to Lega Pro Seconda pulling in crowds of 1500. Last year they got to the play offs to get back to the third tier, “their natural level” says fan Fabio Bucciarelli, only to lose to Carrarese, owned by a certain Gianluigi Buffon. 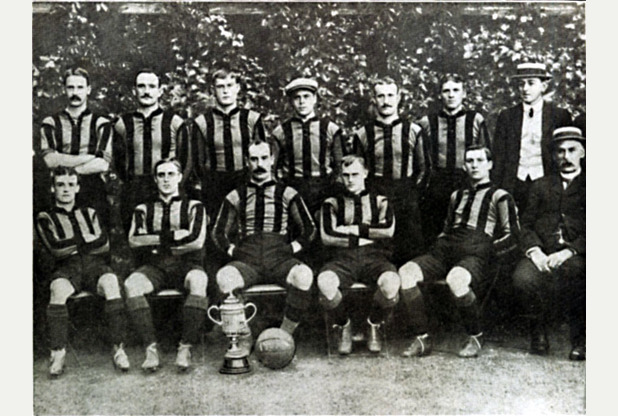 Before this domestic success, Sutton had two more seasons in the Anglo Italian cup. They got to the final both times. “The following year was in Trieste and this time we went by coach” says Mark. “It was a long journey, there was probably about 50 people on the coach and it was a great atmosphere”. They couldn’t afford the Venitian hotels so went out drinking and then slept on the coach ” sneaking into the bar of the players’ hotel to sort ourselves out in the morning”. Mark didn’t have such a great time this year. “The game was windy and cold and I had a splitting headache, as much from the wind as the tension.” By all accounts the game was not a classic but it was live on Italian TV and went to penalties. “Micky Stephens had been superb all game” but the English curse had transcended the football pyramid and he was doomed to miss the crucial penalty. Sutton lost 5-4 on penalties to Triestina. In 1982 Sutton got to the final again. This time it was held in the south, in and around Modena and it was a weekend tournament featuring the hosts, 1980 finalists Triestina, Sutton and 1981 finalists Poole Town. The Sutton fans had another epic train journey and stayed in Sorrento, one can only imagine whether the writers of Jossy’s Giants knew about this. 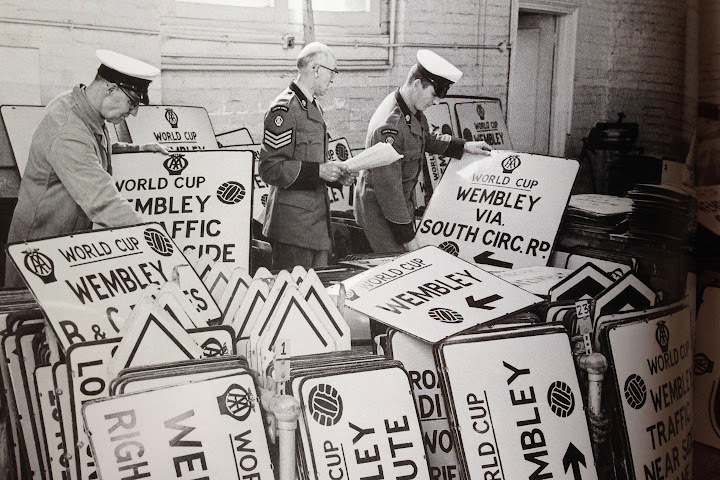 This time they stayed in the same hotel as the players, on strict instructions to behave. Mark tells of an impromptu game in a nearby “dustbowl” where about twenty Sutton fans got together for match. While they were playing, “the Poole Town captain Bill Beaney wandered past and asked if he could join in”. “He had a game the next day!” Those Were The Days. Playing in Campo Basso was a bit different to the salubrious environs of Venice and Chieti. They were met by machine gun toting Police guarding the next door prison and the locale was best described as “not the friendliest”. Poole lost to Modena and Sutton drew 0-0 with Triestina and then won 4-1 on penalties [IN YOUR FACE, HISTORY!!]. “Poole had no fans there so, when the 3rd place play off came round, because of Bill we became Poole fans for 90 minutes and went down to support them.” Poole lost 3-0 despite having former Fulham pro John Evanson in the ranks and, probably, with no thanks to Bill being knackered. For the final, against Modena, the Sutton fans got an early ‘hello’ from the locals. “Someone chucked a fire cracker into the Sutton end and there was big bang. We thought we’d been shot. The players thought someone had been shot”. It sounds like the on-pitch welcome wasn’t much better, “they were typical of Italian teams of the time, pretty rough and diving”. Sutton lost 1-0, to a 5th minute goal from Scarabelli, “but we had a few hours to kill before getting the train back and were in the same hotel as both Sutton and Poole players, so we all partied together”. Sutton United went on to promotion, a draw against Middlesbrough in the FA Cup and that famous win over Coventry a year later, which remains the last time a non league side beat a top flight side. And they are still the only ever English amateur winners of the Anglo Italian Cup. 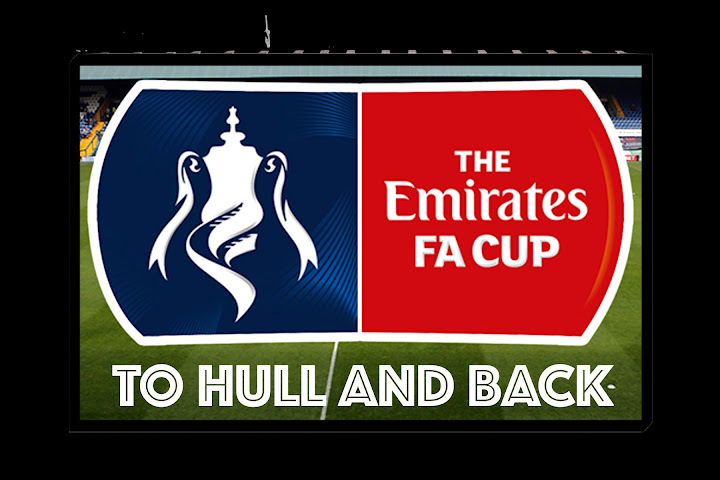 Seeing your local team play in the ‘proper’ FA Cup is not unusual, seeing them play a big side is occasional but seeing them play in and win a European tournament is almost unheard of. Sutton did it. Of the seven on that trip, four still go to Gander Green Lane, three of them regularly. Mark’s whistful about the Cup now. Like I thought, when pondering what Sutton event or person to write about for this game preview, Mark said “Every year Ronnie Radford or Sutton get dragged out by the media”, he says. “But seeing your team winning in Europe is better”. “I don’t think any of us will forget those four days in April 1979 for as long as we’re all still breathing. Magical”. Sutton United .v. Notts County. 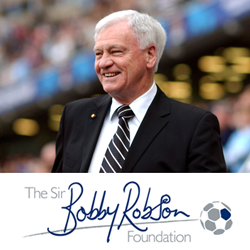 Sunday 4th December 5pm, tickets £13-£15 and concessions. Thanks to Mark Frake for speaking to us, Gerard Mills from Sutton United for facilitating and Amber Rambler for supplying Chieti info from Fabio Bucciarelli. Over the years I’ve made a few poor dicisions, but not going to Italy was probably one of the worst!